"In your role as a student, it is important that you are both physically and emotionally healthy. You can't do a good job in school, if you don't feel well. Being healthy makes you feel good and allow you to perform more effectively." Health is a state of complete physical, mental and social well-being and not merely the absence of disease or infirmity. To ensure good health for our school students the school conducts periodical Health Programme associated with reputed hospitals in the city. School Health Programme is a commendable effort of the Manchester International School management in the direction of cultivating healthy habits among children and thereby makes the future generation of the nation healthy. The programme includes all the possible steps required to make children healthy - right from Primary health check-up to providing suggestions to take essential treatments if necessary. The object of this programmme is to awakening the health consciousness among all the students from the early years. Our mission is to stimulate, support, and encourage students and families within our globally-minded community. Our counselors promote an enthusiastic, comprehensive and developmentally structured counseling programme to guide the students in the right direction. The variety of concerns the new generation students have to deal which has increased to a greater extent in the twenty first century. Students are continuously facing the challenges and are under constant pressure to keep them successful. Hence the role of the counselors has become very important. The school counseling service aims to assist students who are experiencing personal difficulties which may interfere with their academic, personal, social or family life. A wide range of services and interventions are available to assist in addressing problems or concerns which could relate to student behaviour, relationships, parental split-up, bullying, friendship problems, stress, someone ill or bereavement, etc. Just about anything that really worries or concerns you. 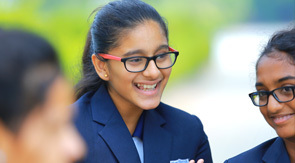 At Manchester International School needs are sensitively predictable, first through the caring relationship between teacher and pupil to resolve a pupil’s difficulties. Students and parents should always, where possible, firstly speak with the homeroom teacher. Where difficulties are more persistent, early detection will allow counseling to take priority over complaint and punishment. Students can independently seek counseling or may be guided in this direction by a teacher, or their parents. The school counselor will provide the student an opportunity to work through his or her difficulties with someone who will be non-judgmental, caring and understanding. The School has full-time counselors, dedicated to dealing with emotional, behavioral, social and psychological issues. Any student may approach the counselor for support; similarly, parents may ask for this service for their children. The school may also initiate a counseling program as a response to legitimate and/or shared concerns. Where necessary, engagement with our counselor may be a requirement of enrollment or a required response following a student’s failure to maintain MIS’s expectations for appropriate conduct. The role of the School Counselor is to respond to immediate and longer-term learning, developmental, socio-emotional, and psychological needs of students. Counseling sessions are set up according to needs and availability. The School Counselor may occasionally make referrals to external agencies, and is happy to assist parents in finding an external professional. In addition, teachers care for the individual student in a wider meaning than just academic growth: the primary responsibility for well-being lies with the individuals who are directly with the student at any particular time during scheduled activities.